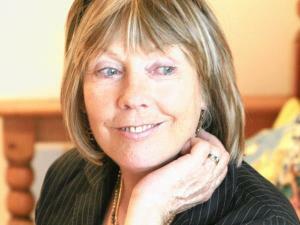 Heidi passed away suddenly on 11 August 2012, a loss that can’t be summed up in words. For anyone wishing to make a donation in lieu of flowers, Heidi’s family has nominated the charity Zimbabwe’s Children (part of the True Vision Foundation), dedicated to the education of Zimbabwe’s forgotten children. Heidi had a hand in establishing the charity, alongside her daughter-in-law Nicky Wimble. At a time when the world waits anxiously to see what will happen next in Zimbabwe – when there is little food in the country’s shops, life expectancy is plunging and Zimbabweans are fleeing repression and unemployment – this book gets to grips with the man at the helm of a corrupt regime; the man behind the monster. Holland’s tireless investigation begins with her having dinner with Mugabe the freedom fighter and ends in a searching interview with Zimbabwe’s president in December 2007, more than 30 years later. Read Tom De Castella’s Web exclusive – Sympathy for the devil, on theProspect magazine website: July, 2008. The SKY NEWS interview with Heidi Holland on the 3rd of June can be downloaded here. Heidi Holland talked to Al Jazeera on Saturday, April 05, 2008. Link to: Mugabe: The imperative to be right. Link to the Mugabe profile by Michelle Faul, Associated Press Writer. June 28, 2008. Read the London Sunday Times extract from Sunday, April 06, 2008. Heidi Holland interviewed in Expresso a Portuguese newspaper on Saturday, April 05, 2008. Link to a Japanese article with reference to Heidi’s book. Link to a French article with extracts from Heidi’s interview with Valérie Hirsch from Libération. A French article in jeuneafrique.com on the Wednwsday 18 June. A Spanish article in EL PAIS on Monday 9 June. Download a Pdf. In April DINNER WITH MUGABE occupied the 3rd spot of the TOP 100 ADULT NON-FICTION LIST according to Nielsen Bookscan AND was in the 1st position of the TOP 100 SOUTH AFRICAN TITLES. DINNER WITH MUGABE is currently in its fifth printing and has been on the bestseller list in South Africa for five months.